NATICK -Massachusetts Lt. 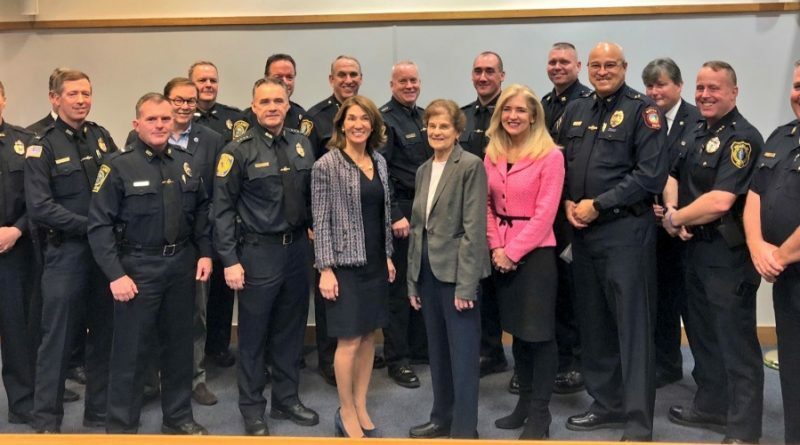 Governor Karyn Polito today, November 1, announced grant awards totaling more than $1.3 million in federal Byrne Justice Assistance Grant funds to 77 local police departments. This competitive opportunity allowed local municipal police departments to solicit grant funding to address their equipment and technology related needs. Priority was given to applicants that solicited funding for items that would further enhance overall protection of officers on the streets or for items that would provide additional safeguards to protect schools and students from random acts of violence. Natick will receive a $20,000 grant for helmets, bulletproof vests and medical equipment. More than 75 municipalities and their police departments were selected to receive Local Law Enforcement Equipment and Technology Grants from the Executive Office of Public Safety.